STEVE MARMEL ONCE CALLED MITCH MCCONNELL WAS A CREEPY UNCLE. HEY! 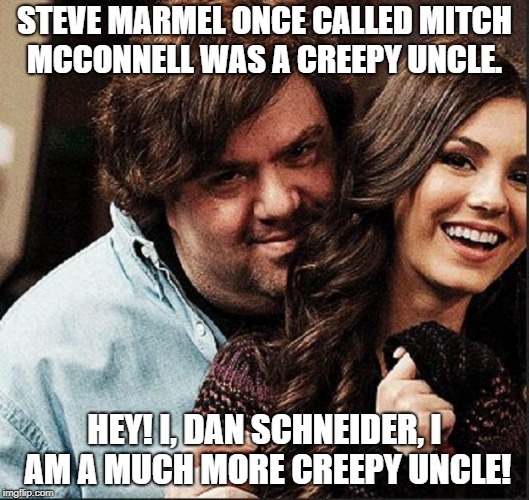 I, DAN SCHNEIDER, I AM A MUCH MORE CREEPY UNCLE!